Corvera Vargas presents these gorgeous high waisted shorts. Feature an angled pockets and zipper fly. 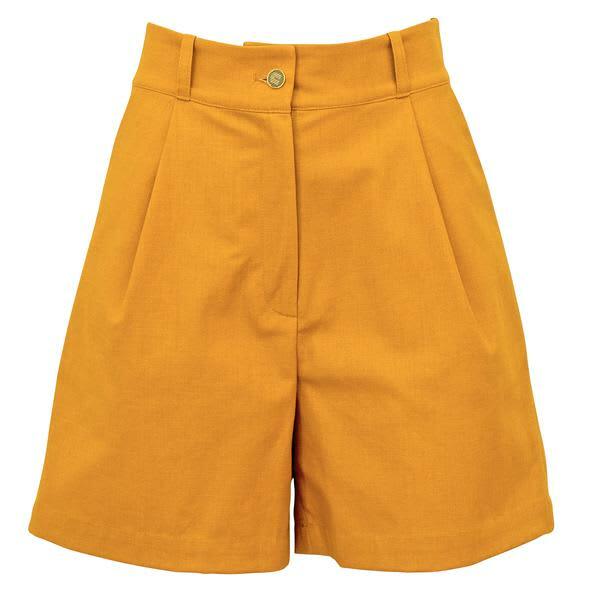 These August shorts come in mustard yellow with gold and black button. Made in Poland.